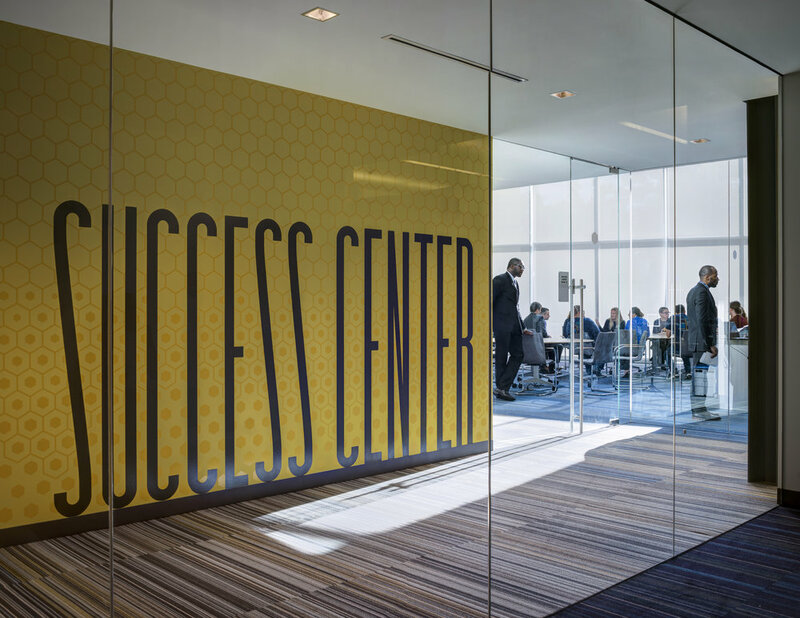 Walsh College Livernois Addition — Valerio Dewalt Train Associates, Inc.
Walsh College in Troy, Michigan, provides advanced business education to professionals. The majority of Walsh students work full-time in the business community and attend classes in the evening. Outdated buildings and spaces left faculty, staff, and students with insufficient, poorly performing spaces for Walsh’s contemporary needs and mission. Completing the implementation of a master plan redevelopment, which began in 2008, the most recent phase includes a major addition along Livernois Road and significant renovation of existing spaces. Walsh, like most business schools, uses project-based learning relying on the case study method. 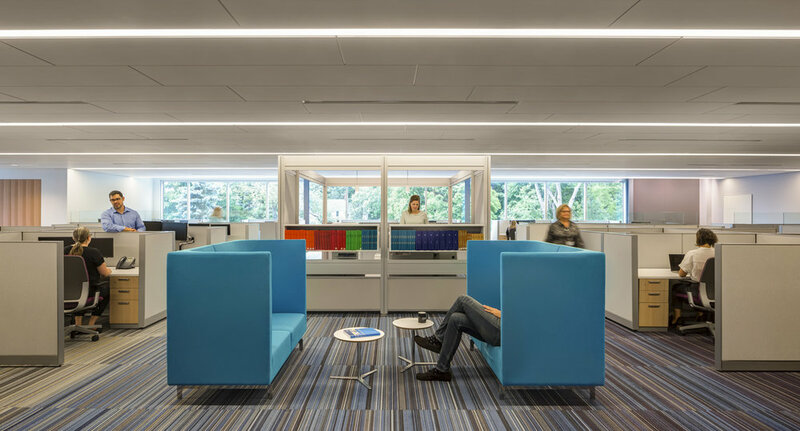 The new architecture connects students, faculty, and staff with an expanded inventory of different types of rooms and collaborative spaces, similar to the work environments of the most progressive companies, helping to encourage innovative thinking and collaboration. 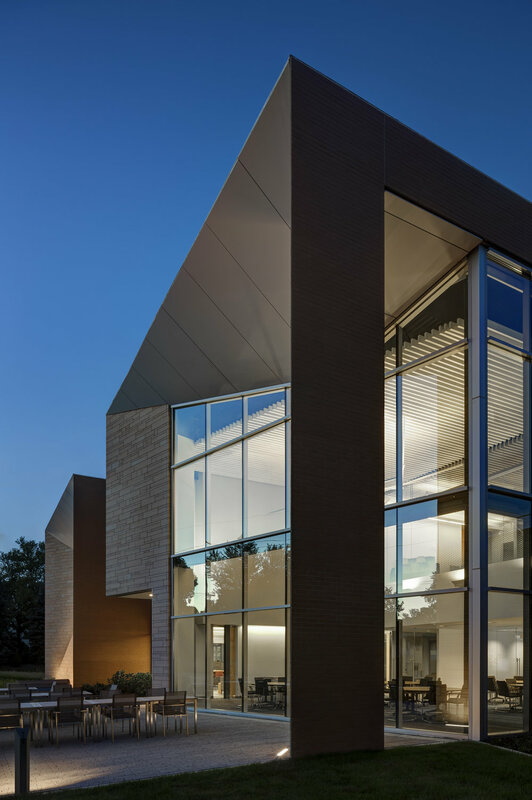 The Livernois Road addition consists of three distinct pavilions, each denoting its interior program: a “one-stop shop” for student services, a student lounge, and a “success center” dedicated to cultivating students’ professional communication skills.